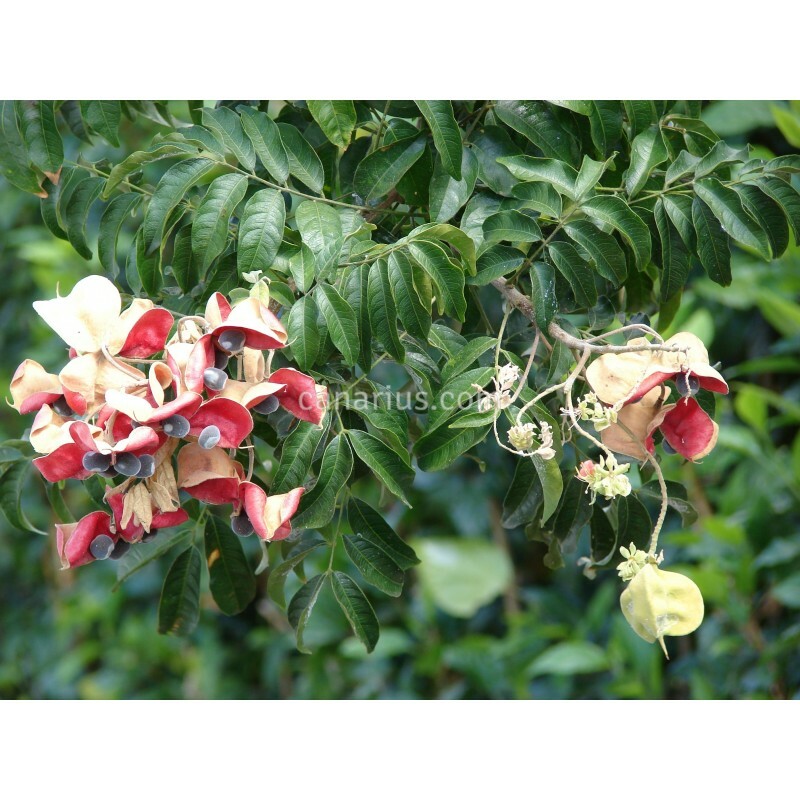 Uncommon African shrub, called black pearl tree or velvet-seed tree, with exotic ornamental fruits splitting open with velvety seeds. 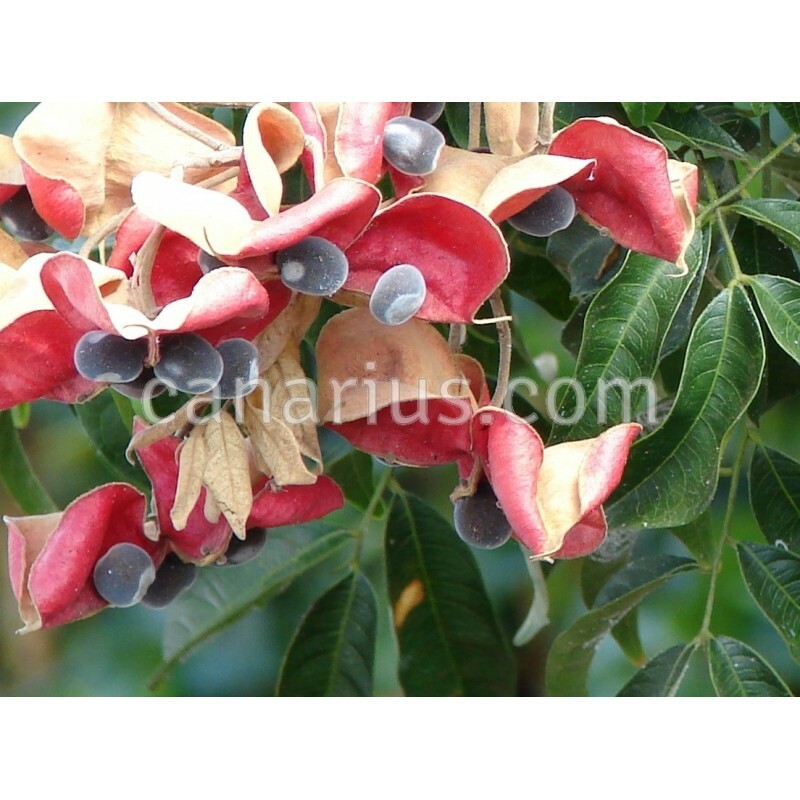 Uncommon African shrub, called black pearl tree or velvet-seed tree, with exotic ornamental fruits splitting open with velvety seeds. It likes full sun and tolerates different conditions. Majidea also grows well in pots.